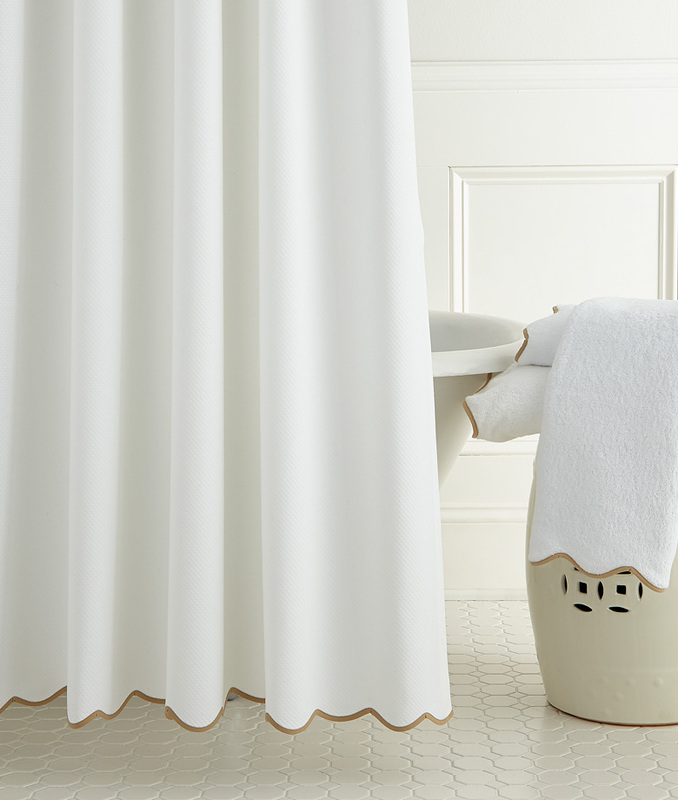 Our Somerset Devon Shower Curtain is available in two Pique patterns. Dakota, our Diamond Pique in White and Ivory; and Madison, our Birdseye Pique in White only. Scalloped edge and tape trim is at bottom edge as shown. Coordinates with Somerset Devon Bedding and Towels.